Nigel holds an LL.B (Hons) from the University of Durham. He was admitted to the Singapore Bar in May 2004 and as a solicitor in England and Wales in 2009. Nigel was listed in Who’s Who Legal 2015 and 2019 for Investigations and “Recommended” by Doyles’ Guide on Leading Singapore Family & Divorce Lawyers in 2015. He is a member of the Chartered Institute of Arbitrators (CiArb), an associate of the Association of Certified Fraud Examiners (ACFE) and a Society of Trust and Estate Practitioners (STEP) affiliate. He also holds certification in IT risk, governance and security, ethical hacking and computer forensics and is a Certified Blockchain Professional. Nigel practises primarily in restructuring and insolvency, with an emphasis on investigations and cross-border asset recovery. He has advised a range of stakeholders in restructuring and insolvency procedures, including directors, bondholders, trade creditors and employees. In acting for insolvency practitioners, auditors, corporates and forensic investigators, Nigel has advised on asset recovery efforts, computer misuse, employee management, personal data protection, confidentiality, banking secrecy, disclosure of data in cross-border investigations, fraud risk, incident response, governance, anti-corruption initiatives and anti-money laundering. 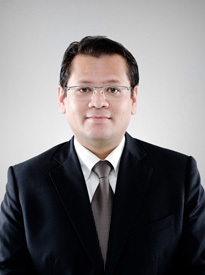 He has also presented on dispute resolution, fraud, investigations and asset recovery at regular seminars, including a National Law Conference of the Bar Association of Sri Lanka, LawAsia conference, Hubbis’ Compliance in Asian Wealth Management Forum and TRACE International workshop. China Medical Technologies Inc (In Liquidation) & Anor v Wu Xiaodong & Anor  SGHC 178 (High Court). The Royal Bank of Scotland NV (formerly known as ABN Amro Bank NV) and Ors v TT International Ltd and anor appeal  SGCA 9 (Court of Appeal). Liquidators of Progen Engineering Pte Ltd v Progen Holdings Ltd  4 SLR 1089 (Court of Appeal) and Liquidators of Progen Engineering Pte Ltd v Progen Holdings Ltd  SGHC 286 (High Court). Advised audit committees and forensic accountants in investigations into transactions, SGX-related and compliance issues. Undertaken investigations in pharmaceutical and healthcare sector. Implementing global whistleblowing programs. Advised on use of data and disclosure issues arising from domestic and cross-border investigations by auditors and banks in relation to fraud risks. Advised on computer misuse issues arising from employee conduct and access by former employees, poaching by senior employees of key appointment holders and of data. Advised on issues arising in a blockchain project, on whitepapers and pre-ICO due diligence. Advised on anti-bribery management systems and corporate initiatives, including development of policies and training on anti-bribery/corruption matters and training requirements, as well as operating of whistleblowing channels and advising on related issues. Advised on issues relating to the recovery of assets of foreign nationals in Singapore. Advised and acted in applications for injunctive relief, Mareva, Norwich Pharmacal, Bankers Trust-type orders, bankers’ books orders and urgent appointment of provisional liquidators. Advised investigators on cross-border tracing of assets arising from fraudulent mismanagement of a USD350 million fund set up across Indonesia, including Jakarta, Bandung, Surabaya and Bali. Advised banks on rights of recovery in disposal inquiry proceedings relating to recovered assets and cash, including in the proceedings relating to PP v Chia Teck Leng (District Court). Part of a team which advised and acted for the Law Society of Singapore in recovery efforts in the David Rasif matter. Represented the Law Society in disposal inquiry proceedings in the District Court, and in a Trustees Act application in the High Court to approve the distribution of recovered assets among claimants. Advised and acted for senior members of management in several companies in responding to constructive dismissals and negotiating severance terms. Advised and acted for employers in relations with employees as part of restructuring and cessation of operations and dismissal due to business challenges; and advised on other redundancy exercises. Raffles Money Change Pte Ltd (formerly known as Honest Money Changer Pte Ltd) v Skandinaviska Enskilda Banken AB (Publ) (formerly known as Skandinaviska Enskilda Banken AB)  3 SLR(R) 1 (High Court). Advised on a UNCITRAL ad hoc arbitration arising from termination of a distribution agreement involving Sri Lankan operations. Part of a team which represented a trust in an SIAC arbitration against an Indonesian pulp company in a multi-million dollar claim arising from various pulp purchase agreements. Part of a team which represented a distributor in a JCAA arbitration arising from termination of a distribution agreement involving a Japanese party. Advised arts and events companies on claims against debtors and disputes arising from event management, including a dispute between creditors and producers of a musical theatre show, a dispute between producers of an international televised sports event and its creditors, and advising an international sports event organiser on its obligations under various contracts as well as its options for restructuring. UAX v UAY  SGFC 55 – Advised and acted for a husband in resisting claims for spousal maintenance and addressing whether a property is a “matrimonial asset”. AYM v AYL & Anor Appeal  SGCA 46 (Court of Appeal), AYL v AYM  SGHC 237 (High Court), AYM v AYL  SGCA 68 (Court of Appeal), AYL v AYM  SGHC 64 (High Court) - Advised and acted for a wife in resisting the variation of an ancillaries consent order in the Family Court, twice before the High Court and thrice before the Court of Appeal. AMJ v AML  SGDC 404 (District Court) – Advised and acted for a husband in resisting a claim for substantial maintenance in a 6-day trial over 3 tranches.